If you're like me then you hate to read through all the fluff of an article so let’s get right to the main point. 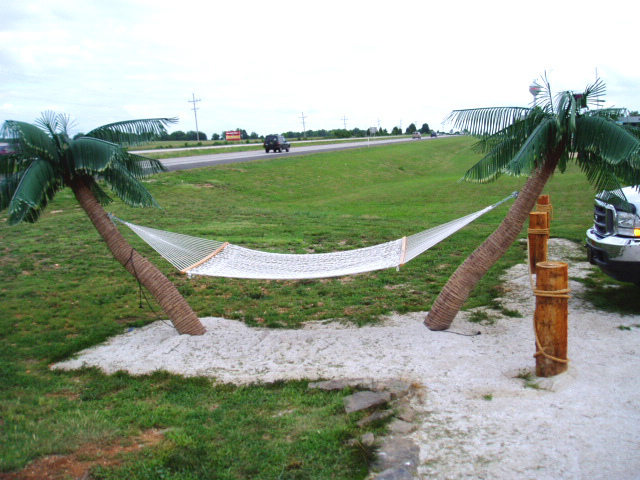 What are some of the uses for artificial palm trees? 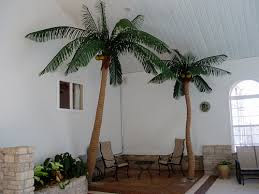 Look at the images below to see some creative uses for fake palm trees. The obvious use is for home decor. Using something like this in your home or office can make your home a tropical paradise, soften the edges and give your room a total makeover without the high costs of a complete overhaul. Turn your living room or porch into a tropical oasis like above. this will make you feel like you never left the Bahamas. Watch out for the falling coconuts. 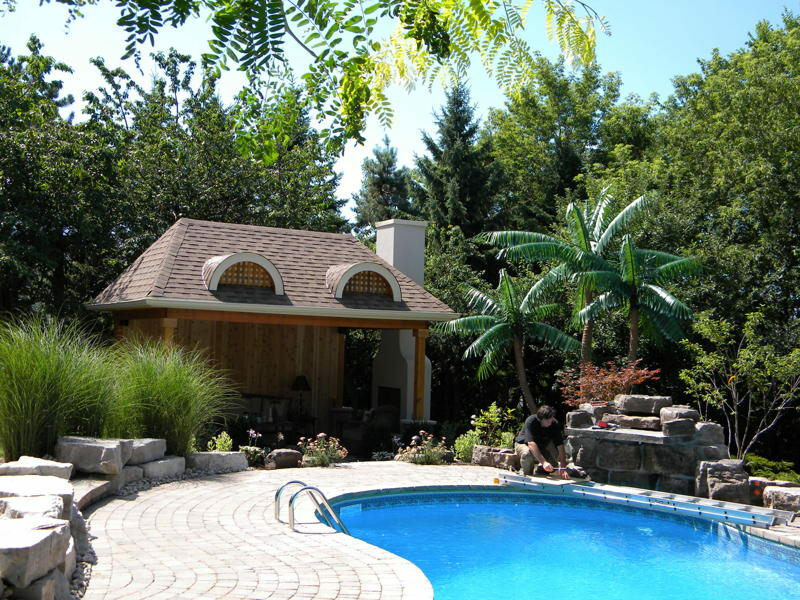 Looking for a low maintenance solution to give your pool a tropical "resort" look? Our extensive collection of UV rated outdoor palm trees are perfect for this application. Plant them right into the ground or use a decorative planter and they will last you for years. Create a relaxing place to unwind with your favorite cocktail and a book with an artificial palm tree hammock. This is great for a sandy beach area next to your pool or next to the water if you happen to live on a lake. This person looks like they thought it would go well next to a highway. Oh well, to each his own. 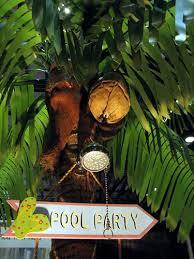 Turnign a fake palm tree into a post swim shower by the pool is a great way to give your yard a tropical twist. Kids love it and it also serves a dual purpose keeping the salt water or chlorine off your skin. 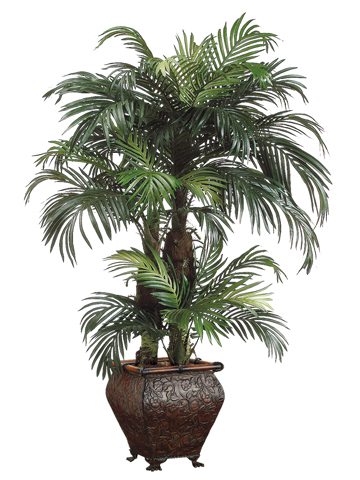 If you're looking for a large tree we have some of the tallest and largest artificial palm trees you can find for your home and office decor. All the way up to 30 feet tall for more commercial applications. 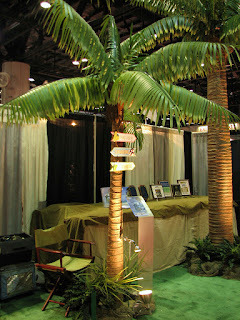 Trying to give your event a tropical island theme? 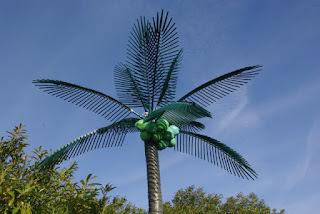 Try being creative with some artificial palm trees in many different varieties. Add some foliage around the bottom and some signage to give it that authentic look of an island hideaway. If you're creative I'm sure you can come up with some more ideas. Remember you can always give us a call or shoot us an email and we can help you with our professional advice on your next product, special event or simply just your decor. 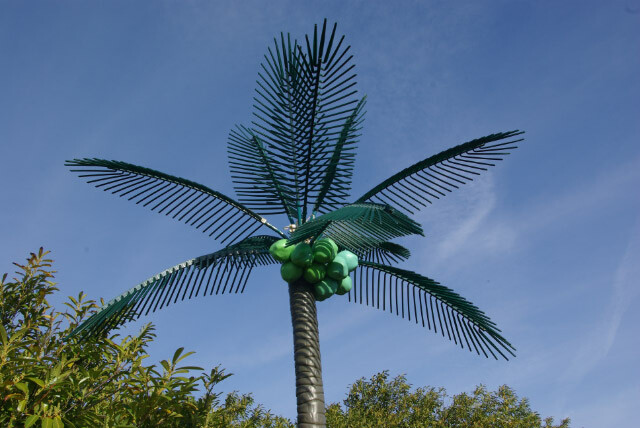 Whether you're looking for just one tree or hundres of artificial palms, we can help with the decision process. Call us at 877-797-7737 and you can talk to one of our consultants free of charge. You won't get that just anywhere.